Everybody loves a secret, right? Well, we have a beauty! 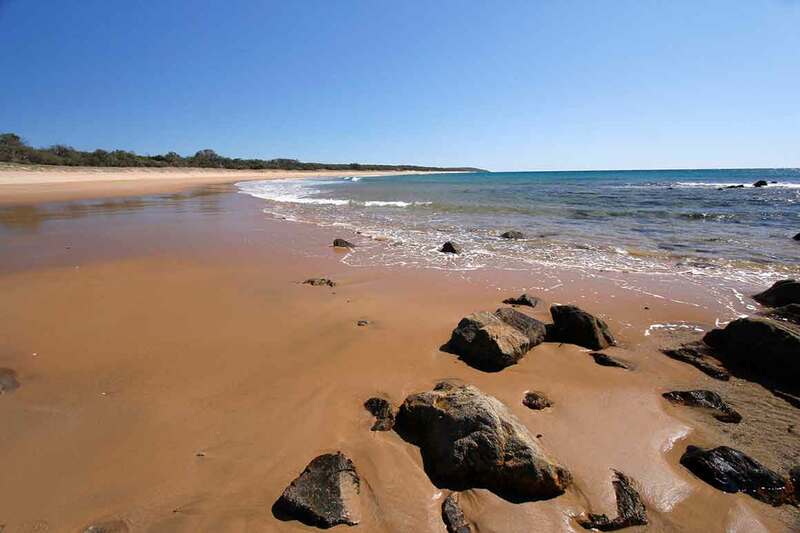 Just over an hour north of Bundaberg on Queensland’s central coast there’s a little-known place, Deepwater National Park, that’s perfect for a short break or weekend getaway for the whole family. So, here’s our secret recipe for the best-ever coastal camping holiday. 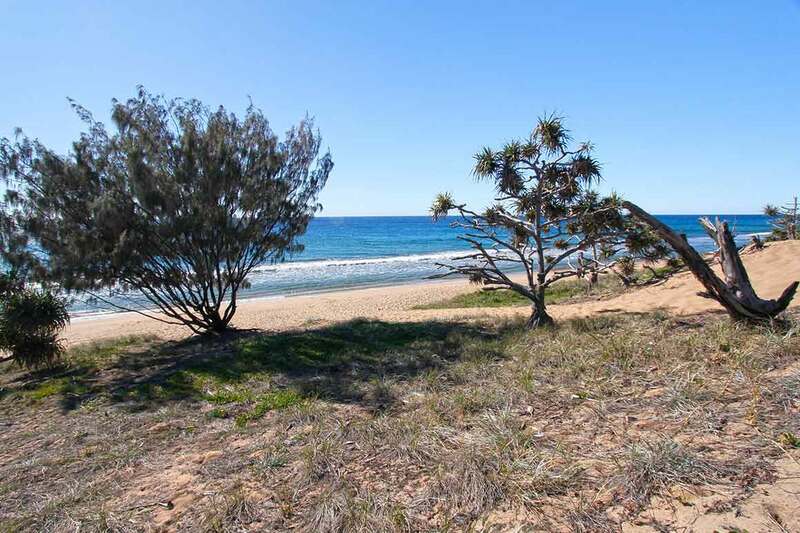 Take one family of active outdoor kids, mix in assorted camping gear and recreational implements such as kayaks, fishing rods, binoculars, walking shoes and the odd soccer ball or footy, place together in a high-clearance 4WD family wagon and drive approximately 90mins north of Bundaberg. Then, take out of the wagon and sit for a while to soak up the magic of the surroundings and…the rest is up to you! You won’t be left high and dry for want of adventure! The kids will find endless opportunities for exploring nature and discovering wildlife while you relax, surrounded by the beauty of never-ending deserted beaches. Here’s how. First, you need to find a place to call home. If you’re seeking a few facilities, we suggest you head to Wreck Rock camping area. There’s no need to worry about the neighbours in your spacious private camp site that can accommodate the largest of family tents or the trusty camper trailer. Only a stone’s throw from the beach, this camping area has all the ‘mod cons’—composting toilet, showers (of the 'brisk' kind), picnic tables and tap water (needs treatment before drinking). At night, gather the kids around the camp fire to share the day’s stories and toast a marshmallow or two. Then send them clambering under the canvas and let the lapping waves lull them to sleep. If only life could always be this peaceful! The good news is that you don’t necessarily need a high-clearance 4WD to get to this camping area. If you’re travelling from the south, you can journey here in a conventional vehicle. It’s time to explore! Slather the kids in sunscreen, throw on hats and sunnies (don’t forget the lifejackets) and launch the family fleet of kayaks or canoes. Our tip for success: Make sure you choose a calm day to avoid unwanted spills but be prepared for a game of paddle splash! Paddle south, hugging the shore, spotting marine life along the way. 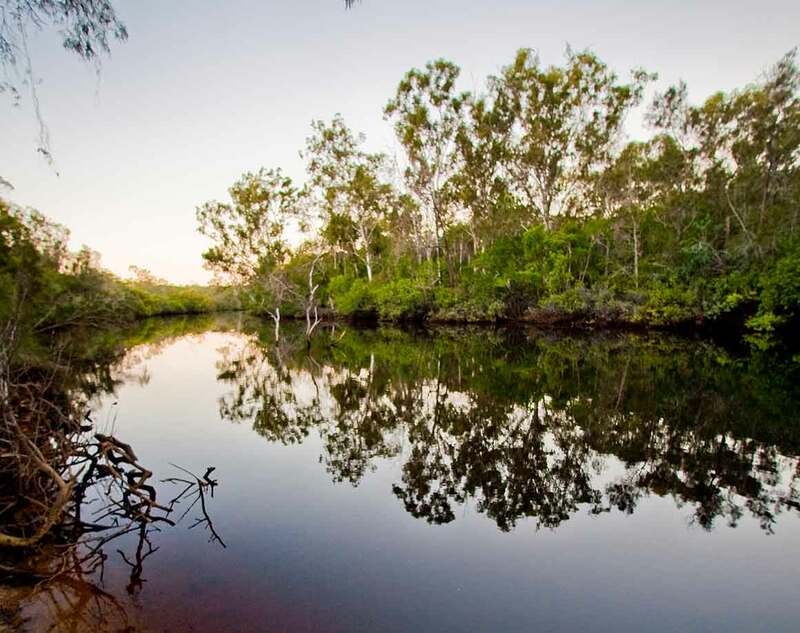 If Deepwater Creek is flowing (this happens in the wet season only), turn into the creek mouth and glide along tannin-stained waters amid tall forests of swamp mahogany, paperbark and cabbage palms. You’ll feel enveloped by nature and this is the best recipe for relaxation that we can think of! Channel those intrepid adventurers from way back, Mike and Mal, and set off in your high-clearance 4WD for a fun-filled adventure! Spend a fun few hours exploring the Coastal drive that bisects the park and discover paperbark forests, wallum banksias and tannin-stained Deepwater Creek fringed by tall forests. Our recipe for success: The kids won’t want to sit still for too long so make sure you stop to smell the…wattle! 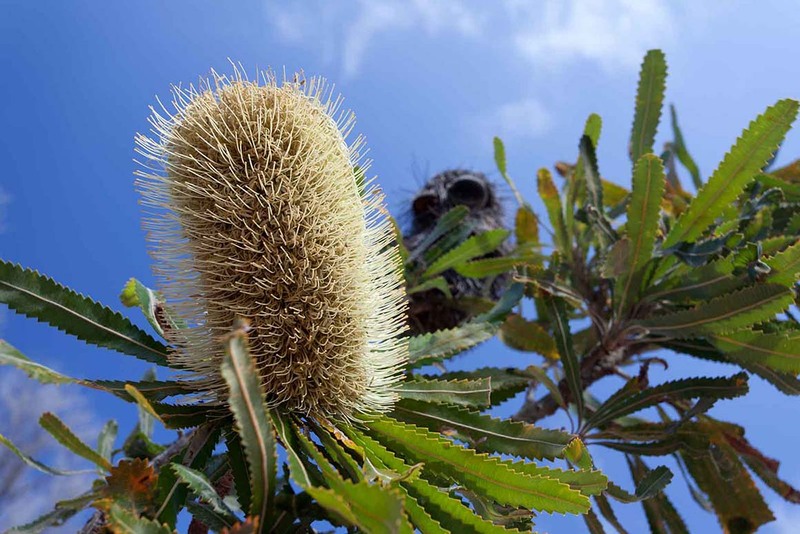 Play ‘spotto’ and tick off sightings of whiptail wallabies beside the track, colourful lorikeets feasting in the tree tops, emus strolling across the plains and ‘Banksia Men’ (the woody cones of banksias growing along the track). Take your time and you’ll be amazed at what you can discover in this little-known patch of paradise. Magical night-time adventures will enthrall the kids! All you need is a torch or two (with a red filter—cellophane will do) and a sense of awe. Shhh…what can you see? Tiptoe around your camp site, and look and listen for eye shine or tell-tale rustling of leaves made by sugar gliders, greater gliders and ringtail possums in the trees. Top tip—stay very quiet so you don’t disturb the locals and have a better chance of spotting them! Fish or fossick at Flat Rock…so what’s on the menu for tonight? Relax over a picnic at Flat Rock day-use area, named for the long flat rock that runs parallel to the shore. Spend hours gazing out to sea while the kids are busy in rapt discovery among the rock pools (buckets with perspex bottoms are a great idea) or simply fossicking along the sandy shore. Dust the cobwebs from your fishing lines and try your luck. Here’s another secret: The high tide creates a gutter, perfect for fishing. So, you never know, you might be able to impress the kids (or they’ll impress you!) with a flathead or trevally for dinner. And the recipe for success? Patience! Then, clean your catch, cook slowly over the coals in your fire ring (back at your camp site), mix in fresh air and the sounds of waves lapping the shore and…tuck in! Nothing else tastes as good as this! Are you ready to attempt our secret ‘tried and true’ recipe for family coastal camping? 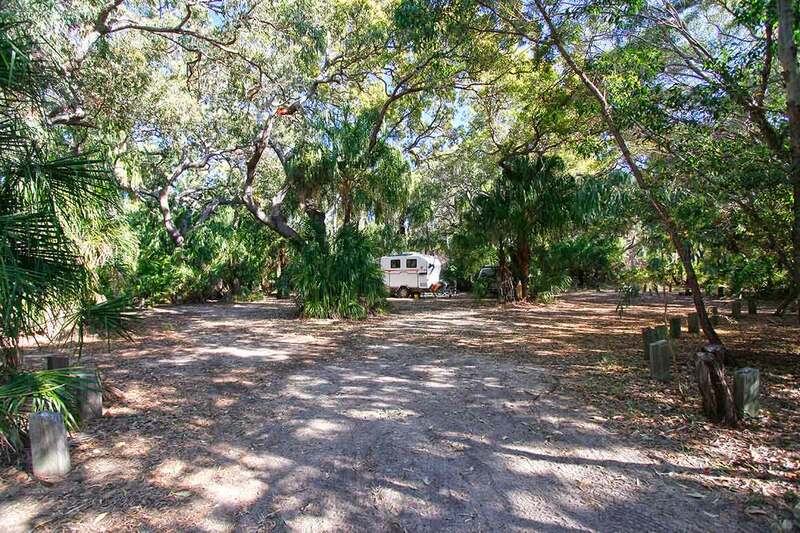 Check out Deepwater National Park for more information or take a closer look at the Wreck Rock camping area. Always check Park alerts before setting off. Remember to book before you go! Camping must be booked in advance.